Striking, delicately scented flowers in a mix of baby pink and ice white, all with prominent central cones. 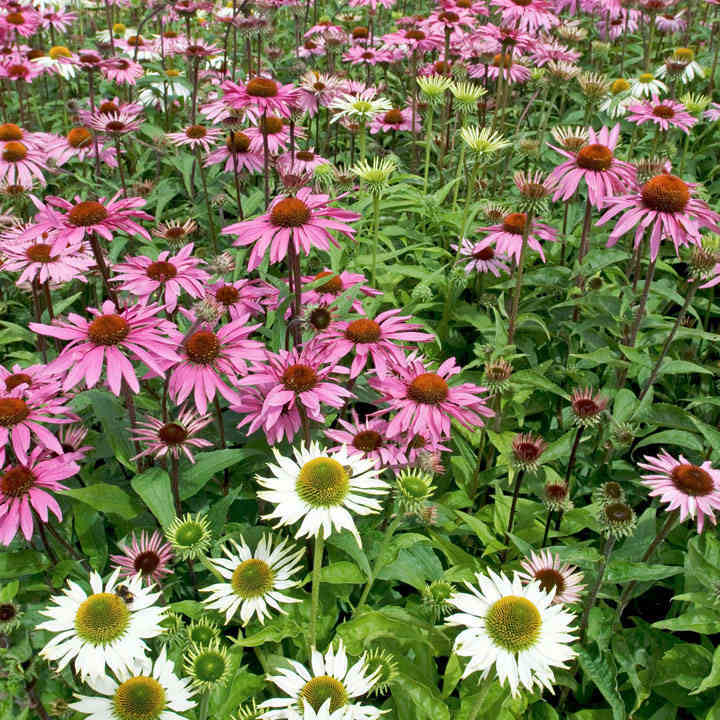 This compact, first year flowering variety produces more flowers than regular echinaceas, blooming for ages! Height 40-50cm (16-20”). 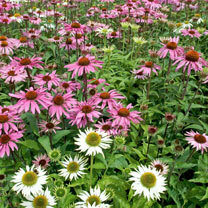 Easy-to-grow plants that bloom over a long period. Sow January-March under glass, alternatively sow during August for flowering in year 2. Flowers August-September/June the following year.